The Minister of Communications and Information Technology, Ravi Shankar Prasad, called the schemes and its initial success a "text book case of digital inclusion being achieved". The Ministry of Electronics and Information Technology on Wednesday provided an update on two of its BPO schemes that could generate quality employment in smaller towns. The India BPO Promotion Scheme and the North East BPO Promotion Scheme provide employers with an incentive of upto Rs. 1 lakh per seat in the form of Viability Gap Funding (VGF). Disbursement of the funding is linked to employment generation. BPOs in small towns or even rural areas may help India retain its cost arbitrage - many BPOs have already migrated its voice processes to cheaper countries. The Minister of Communications and Information Technology, and Law and Justice, Ravi Shankar Prasad, called the schemes and its initial success a "text book case of digital inclusion being achieved". 1. Companies have to bid for "seats". 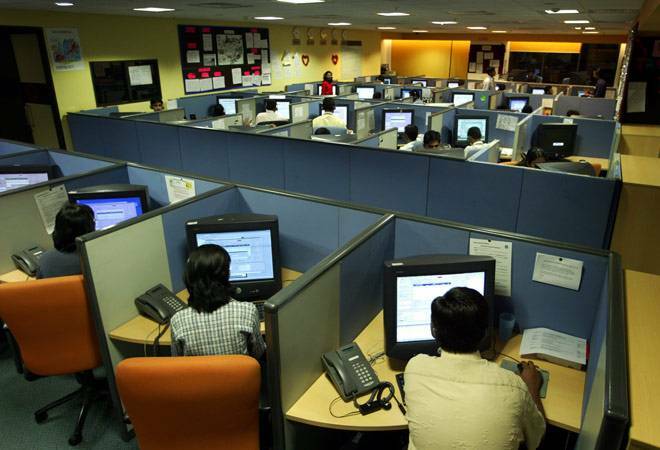 Thus far, under the India BPO Scheme, after four rounds of open bidding, 18,160 seats have been allocated to 87 companies in 19 states and Union Territories; 76 units have started operations on 13,480 seats. 2. The employment thus far generated stood at 10,297. However, the IT-ITES industry is known to create two-three times indirect employment for every direct job. Everything from skilling institutes to restaurants mushroom around BPOs. 3. Some of these smaller towns include Rajamudry in Andhra Pradesh, Patna and Muzaffarpur in Bihar, Raipur in Chhattisgarh, Baddi and Shimla in Himachal Pradesh, Sagar in Madhya Pradesh, Jaleshwar in Odisha, Kottakuppam, Tiruchirappalli, Tiruppattur in Tamil Nadu, KarimNagar in Telangana, Bhaderwah, Budgam, Jammu, Sopore and Srinagar in Jammu and Kashmir, Aurangabad, Bhiwandi, Sangli and Wardha in Maharashtra, Bareilly, Kanpur and Varanasi in Uttar Pradesh. 4. A 5th round of bidding closed in November, 2017. 68 companies submitted bids for 17,000 more seats, which are under evaluation. 5. Under the North East BPO Promotion Scheme, 1,630 seats have been allocated to 11 companies across 5 states. Seven units have started operations on 900 seats, employing 723. Some of the locations include Guwahati, Jorhat, Kohima, and Imphal among others.